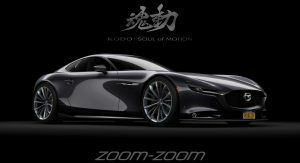 We’re still hoping that Mazda will hurry up and launch a brand new front-engine, RWD sports car, with the company’s KODO design characteristics, as well as a next-generation SKYACTIV-R rotary power unit. Such a model was teased at the 2015 Tokyo Motor Show in concept form, featuring short overhangs and a stubby rear. 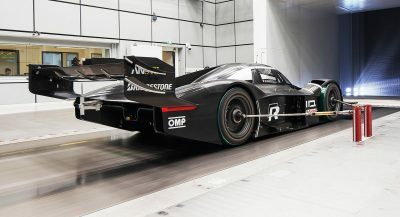 Dubbed RX-Vision, the concept measured 4,389 mm (14.4 ft) in length, 1,925 mm (6.3 ft) in width and stood 1,160 mm (3.8 ft) tall. Right now, it’s hard to say if and how close the Japanese automaker is to unveiling a production version of that concept, although we did spot a suspicious-looking RX-8 mule last year undergoing track tests at the Nurburgring. 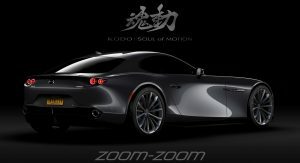 As for a new rotary engine, some reports indicate that it could be a turbocharged 1.6-liter two-rotor unit, dishing out around 400 HP. Meanwhile, other voices claim it could be a hybrid rotary engine, with roughly 450 HP. This RX-9 render by Carscoops reader Sean Sweeney does a good job showing us what the RX-Vision could look like in production guise. The overall form factor and design lines remain unchanged, as Sweeney only added a few badges, license plates, new wheels, door handles, parking sensors and side mirrors. 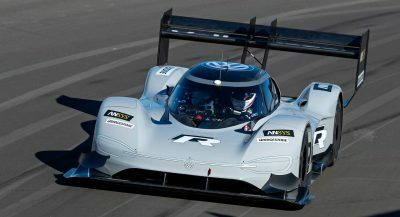 We reckon that just about any car enthusiast would be thrilled to see the RX-Vision take shape into something real, while retaining its sleek concept looks. 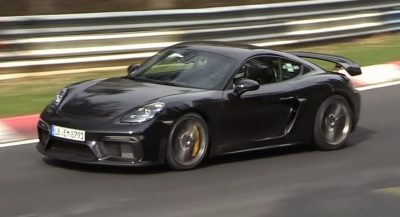 With as much power as previously mentioned, it could go against anything from the Porsche Cayman to the Jaguar F-Type. Wow the trunk and the front end look like they came from 2 different sized cars. JUST BUILD IT…NO F***IN HYBRID OR EV, JUST DO IT THE NATURAL WAY!!! You cant do that anymore American emission standards are getting super crazy. A Hybrid motor seems the most sensible as its an easy combination according to engineering theory. I’m Just happy they are actually gonna make it with a rotary and not so far off of the original concept looks wise. It shits on the new Supra ( I am also a supra owner ) and possible 36 GTR styleing. You must live in california…. you can drive anything you want where I live. He’s probably referring to rotary ICEs specifically, which are designed to burn oil and get much lower mpg than regular piston engines. But it still looks cool. 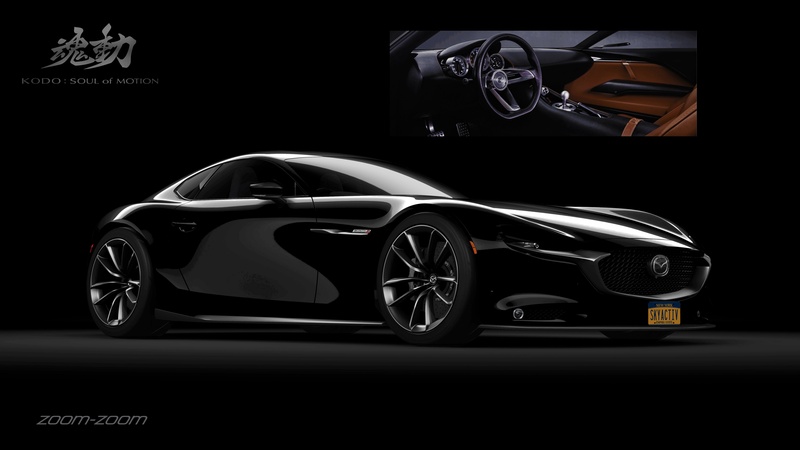 Take another great design and ruin it with a rotary-trash engine. The rotary engine needs to die already. Sorry, but I owned 5 Rx’s and my 81 & 87-T were the best. TT and Rx8 were trash. What’s wrong with burning a few quarts of oil every thousand miles? WHILE IT LOOKS GREAT HOW LIKELY IS IT THAT A RX-7/8 REPLACEMENT WOULD HAVE SUCH A LONG DASH TO AXLE RATIO? One of the prettiest GT coupes Ive ever seen. Too bad they have no drivetrain or chassis to lend to this beauty. 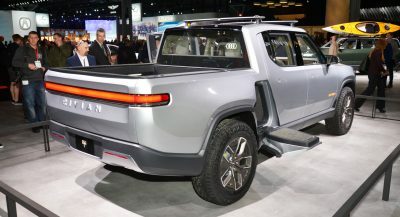 Perhaps they could share the chassis with a proper rear-drive uni-body SUV, sedan, and other applications? Or launch it in the vein of a Ford GT, at a $450k price. OR, how about shrinking it just a tad and basing it on the Miata chassis? I WISH that’s how it would look like in production. 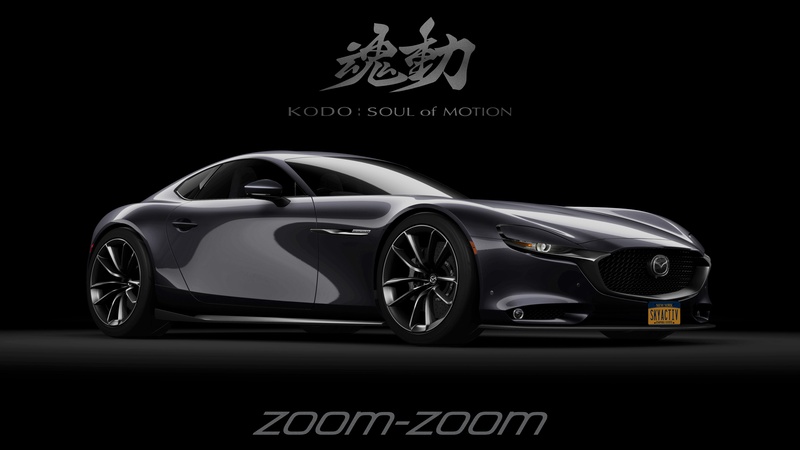 Even for Mazda it seems a bridge to far to keep a concept like this gorgeous in production. That (PERFECT) dash to axle ratio wouldn’t survive the planning stages!